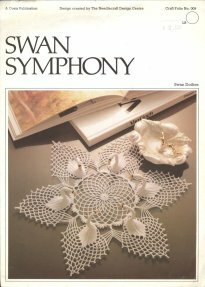 This pattern includes instructions for two doilies featuring three-dimensional crochet swans. 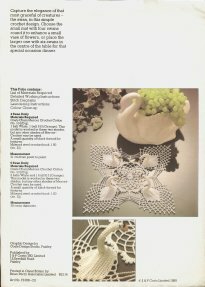 One doily has six swans, the other version has four. Of course you can also make individual swans if you like. Laundering and blocking instructions are also provided. (c) 1980 by Coats & Clark Inc.
Disclaimer: This site is not endorsed by Coats & Clark Inc.